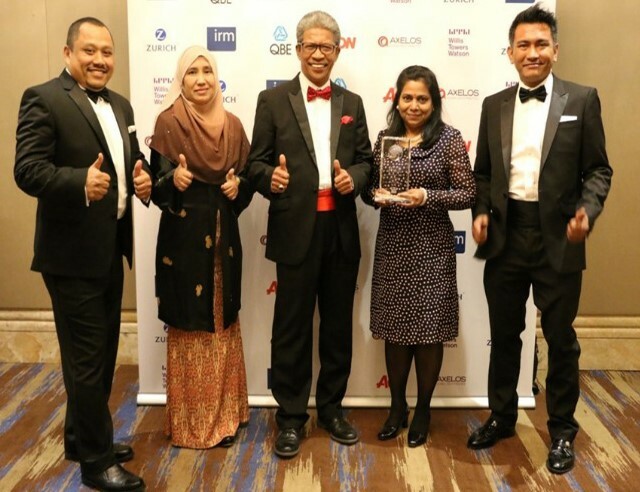 The Inland Revenue Board of Malaysia has won the Global Risk Award, given by the Institute of Risk Management- UK. The award “recognizes teams and individuals who have contributed significantly……in innovation and excellence in risk management in their respective organizations” and was granted in the category "Risk Management Newcomer of the Year". The award ceremony was held in London and on hand to receive the trophy was the CEO of the Inland Revenue Board of Malaysia Tan Sri Dr Mohd Shukor Mahfar. The CATA Secretariat sends hearty congratulations to Dr Shukor Mahfar and his team.